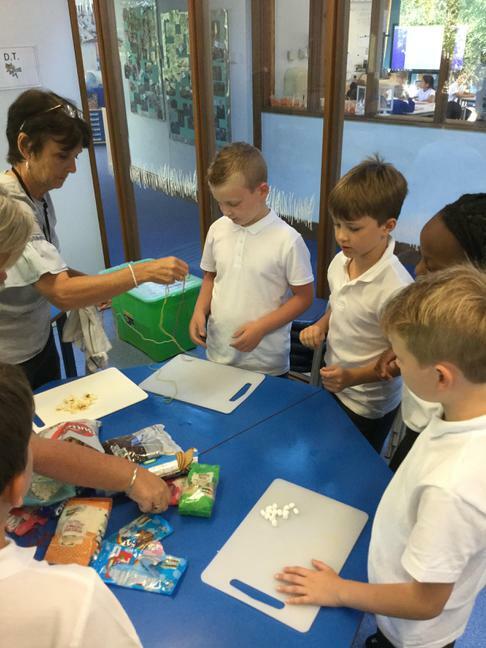 Today the children have had a busy morning launching our Scrumdiddlyumptious topic. 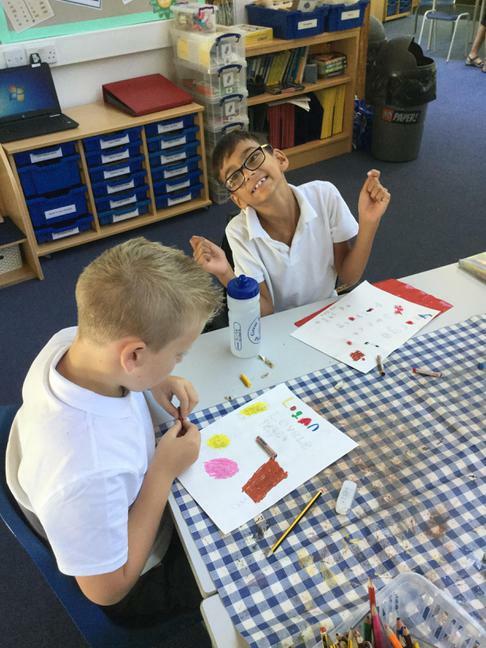 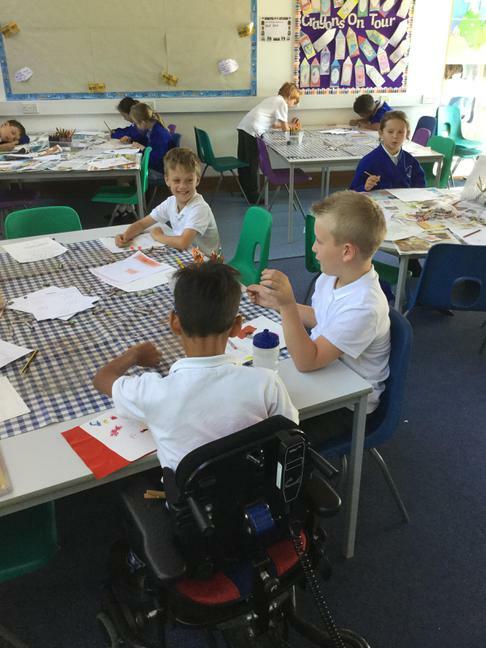 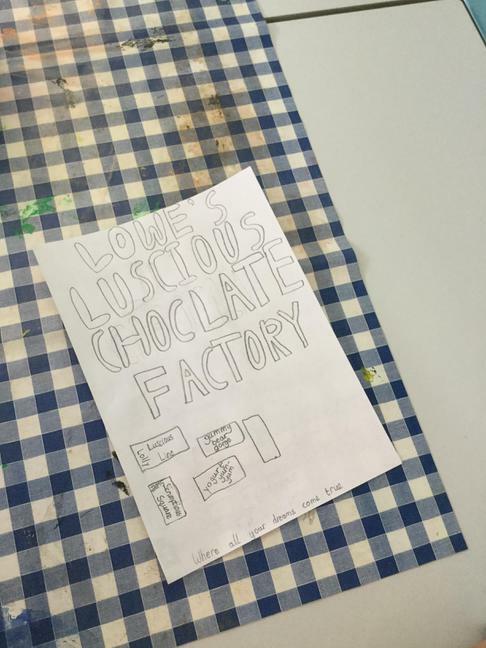 We have had some Charlie and The Chocolate Factory inspired activities where the children have been designing and creating their own factory advertisement posters, complete with a tag line showing why it is such an exciting place. 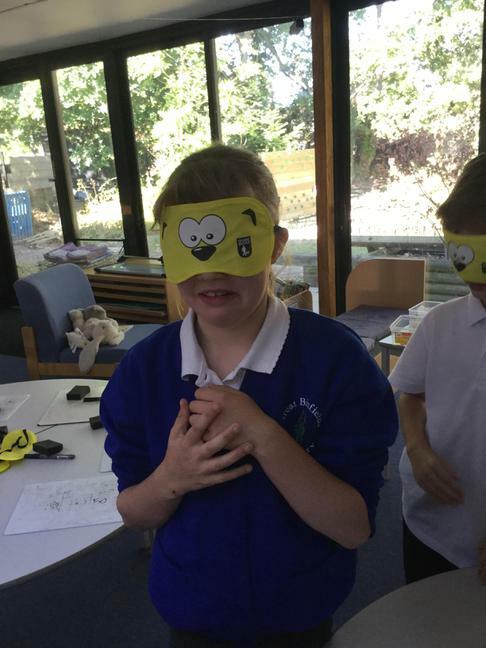 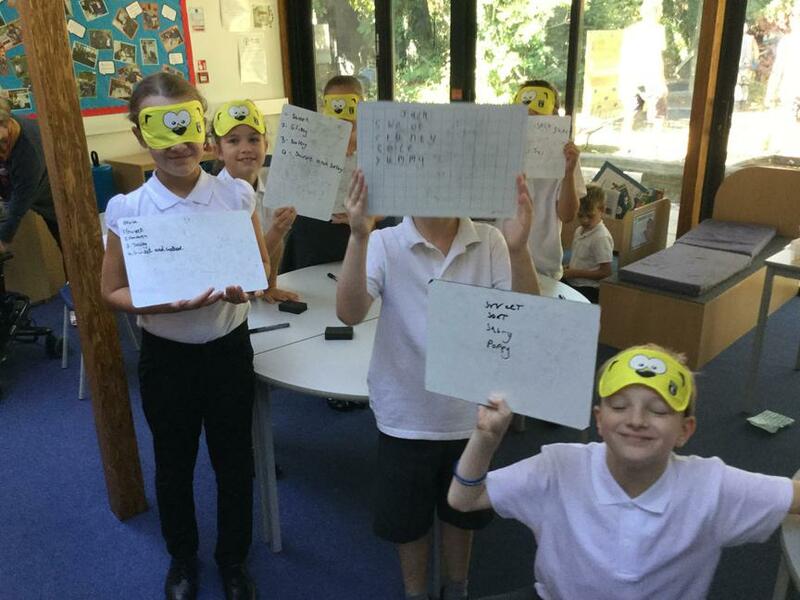 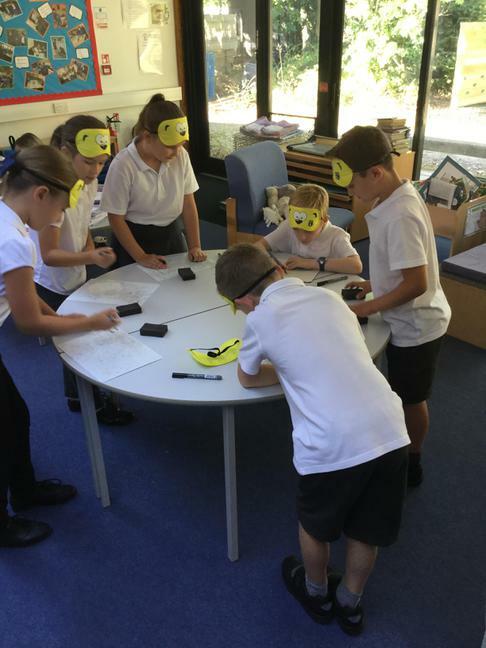 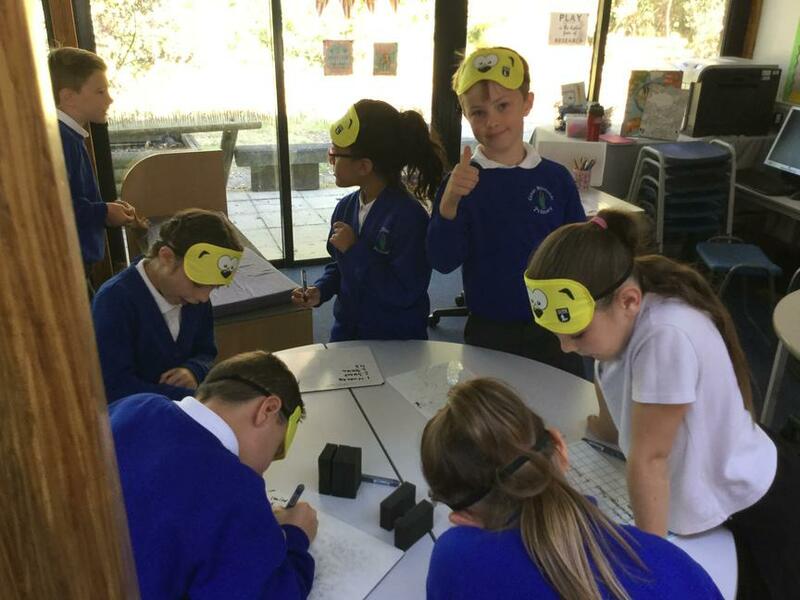 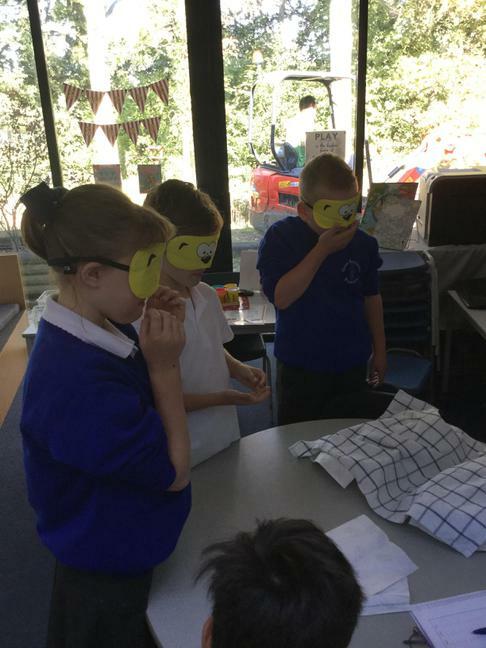 They have also been doing blindfolded ingredient tasting - some ingredients were sweet, some were salty and some were surprising! 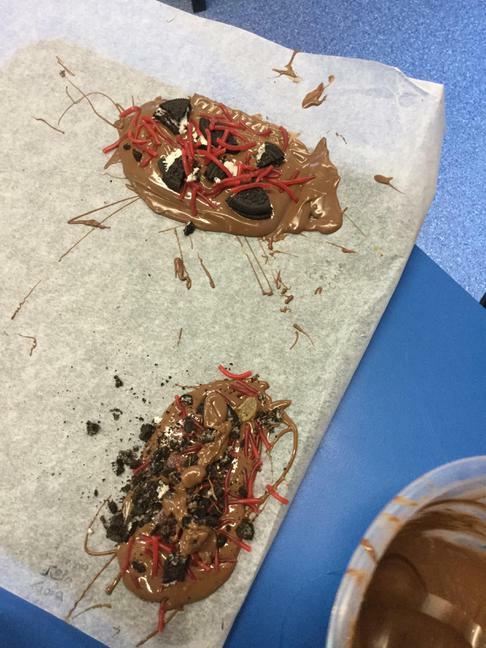 Mr Wood definitely tried to trick some of us with what we were eating. 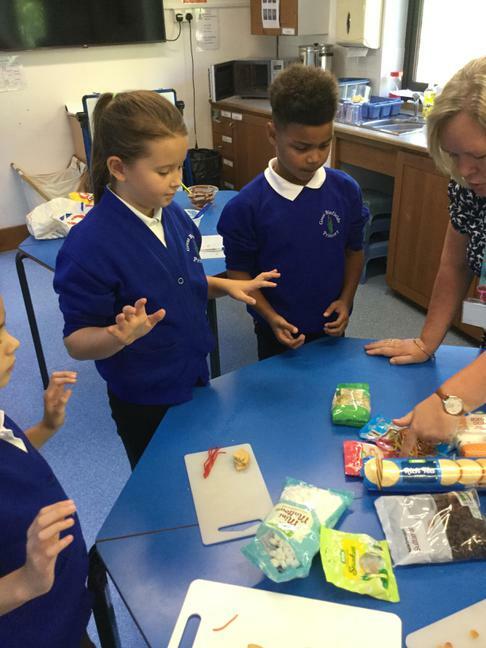 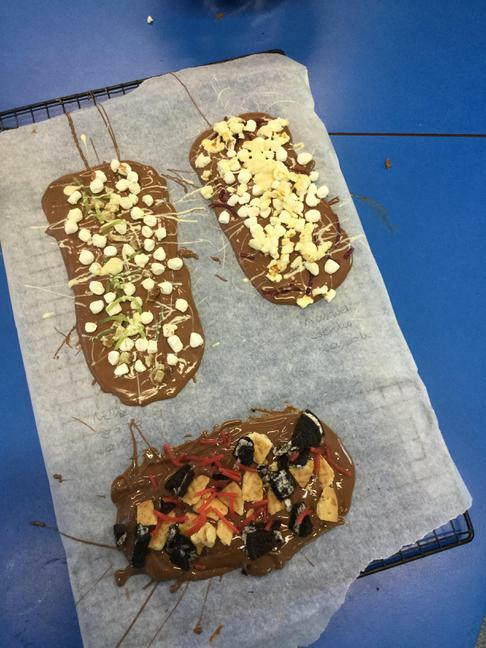 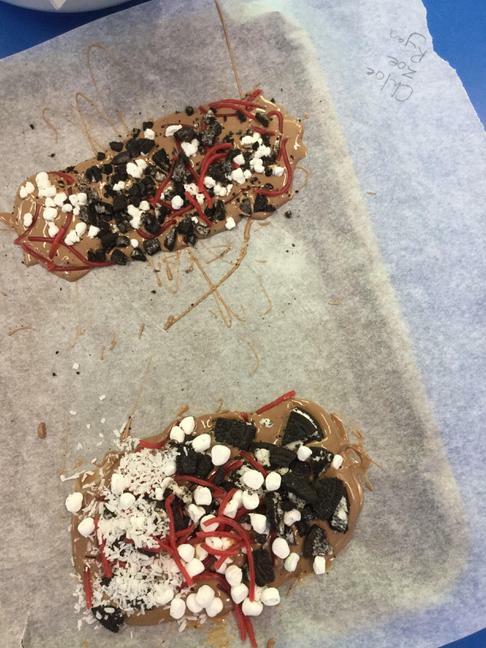 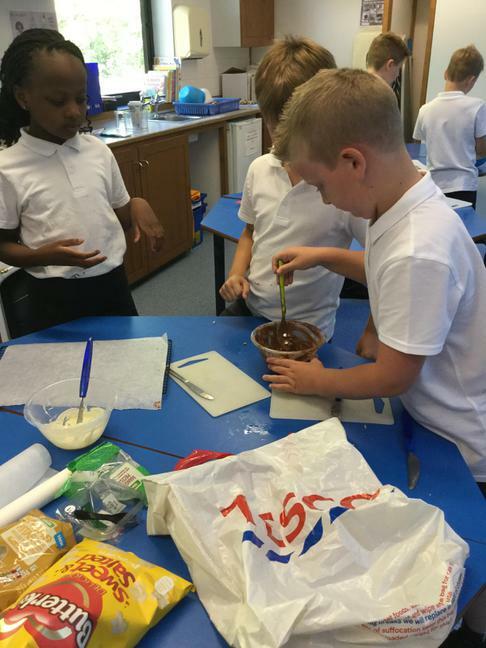 We have also been creating our own chocolate bars by melting down chocolate and working as a team to choose three delicious toppings. 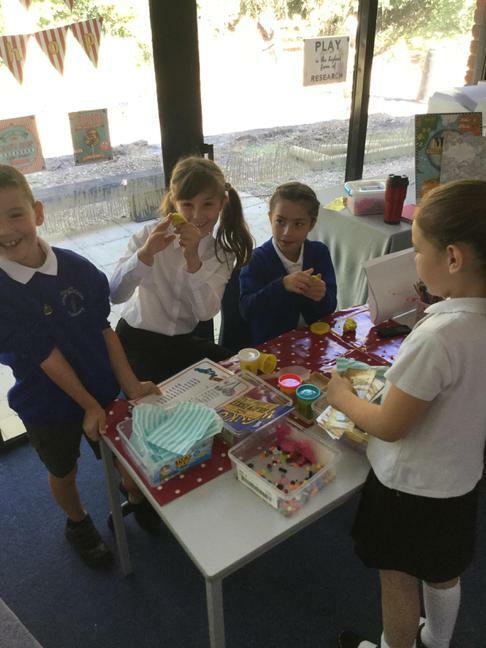 Some of us have had the chance to explore our new role play area which is a Sweet Shop theme. 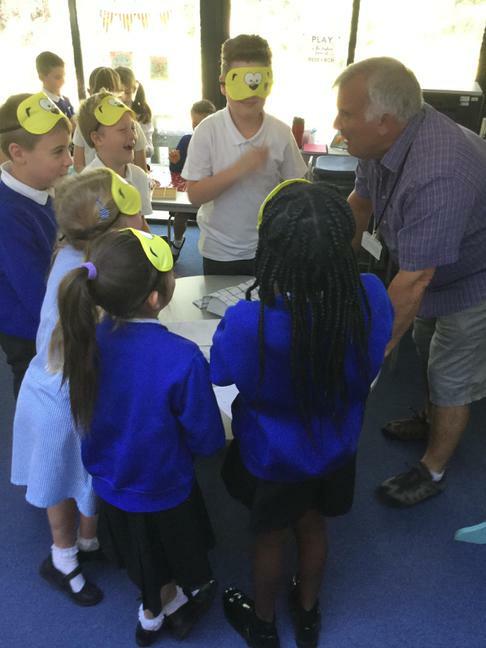 The children have had a brilliant morning with lots of fun. 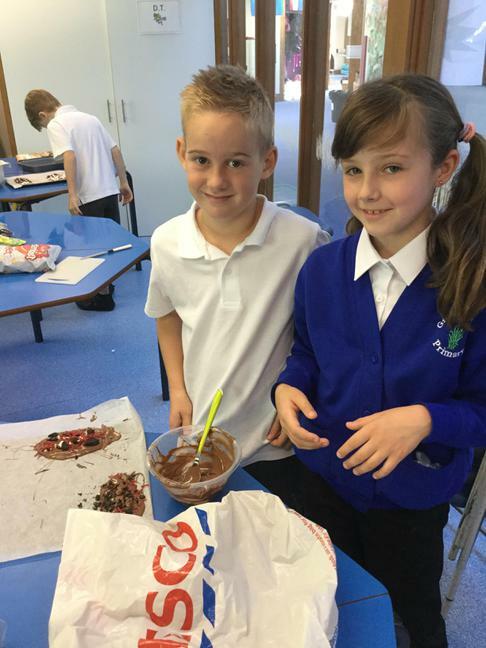 This afternoon they will be thinking a bit more about where chocolate comes from. 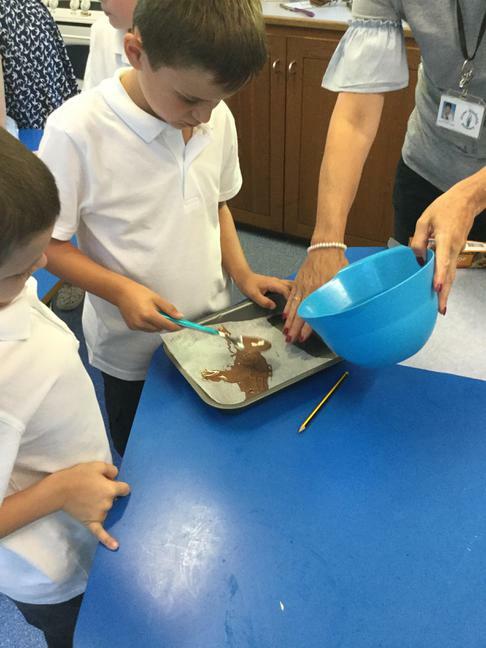 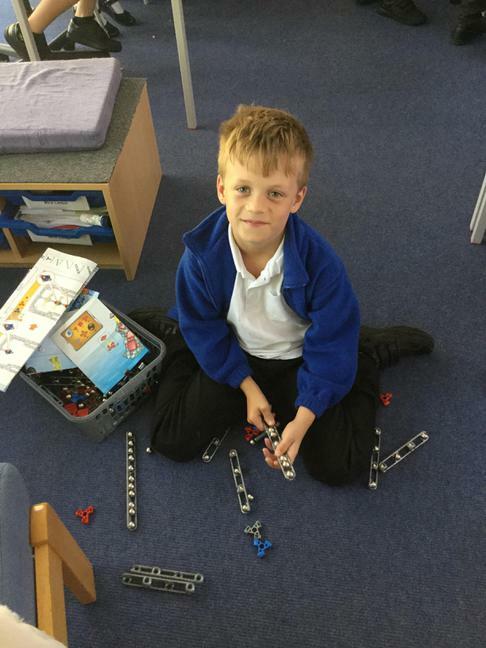 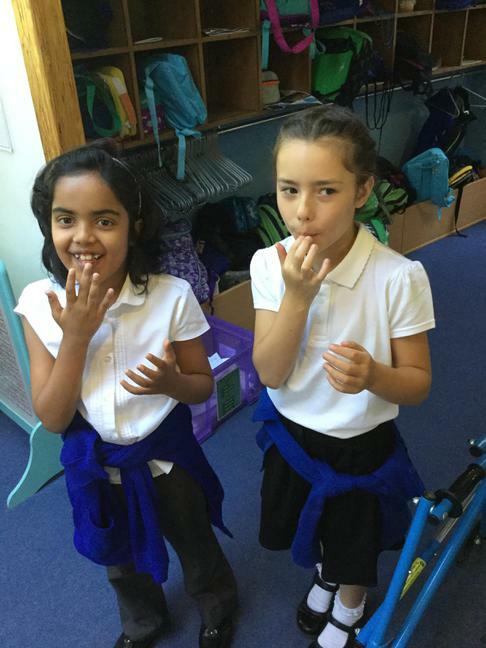 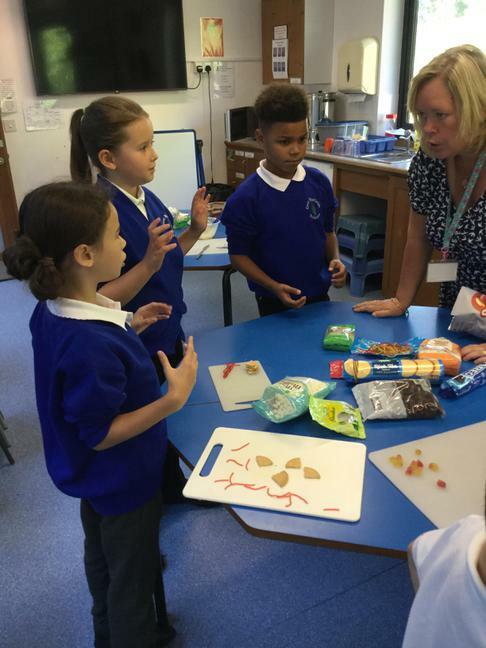 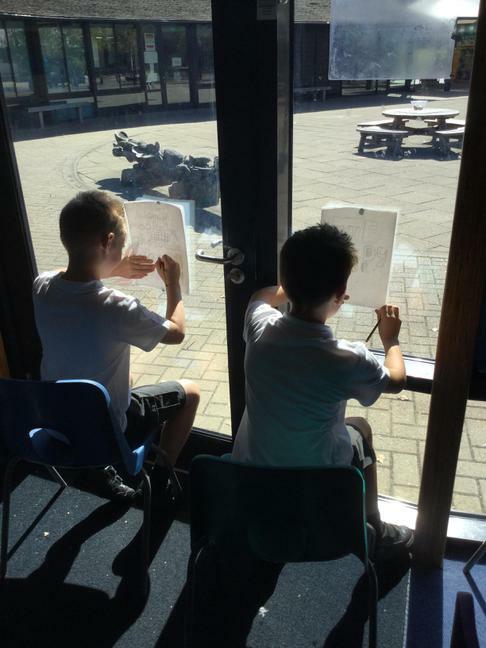 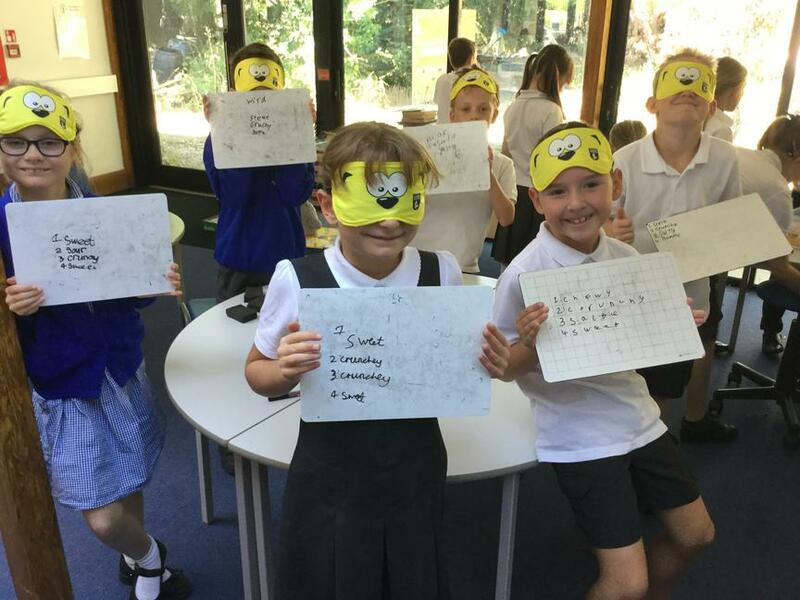 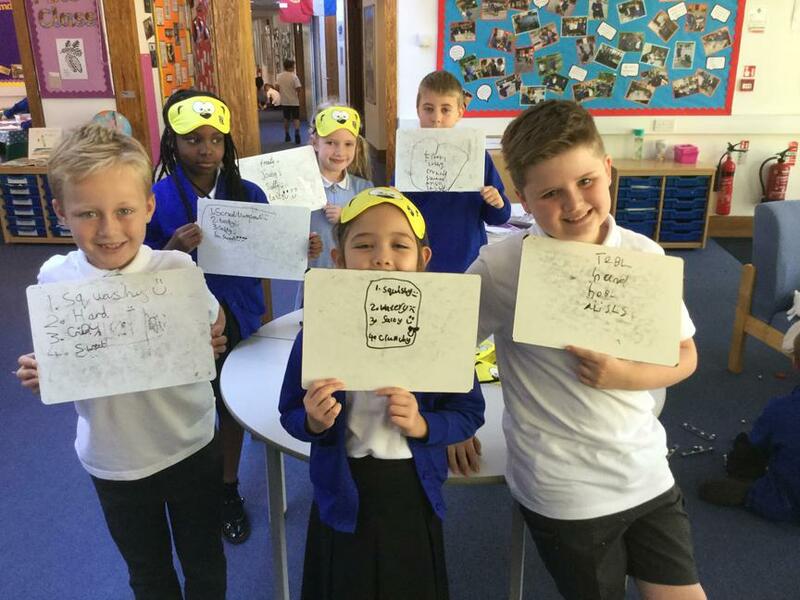 Have a look at the pictures to see what we have been up to - maybe you can try some of these activities at home.